Beautiful view, spacious rooms, really tried to make us vegan food. Loved the stunning views from our clean private villa. The Griya property is well maintained and spacious. We were greeted with a refreshing drink on arrival and had happy hour each night in the scenic rooftop bar. We loved that breakfast was included and could be delivered to the villa, allowing us to thoroughly enjoy our leisurely mornings in the villa! Just spectacular the villas.. great view out over the sea from the infinity pool. Could watch the sunrise in the morning from your bed. Service and staff were great. Great for families with separate bedrooms/villas within your villa. My new wife and I had the pleasure of staying at The Griya during out honeymoon trip to Bali. We absolutely loved our stay at this gorgeous place. Our villa had a private infinity pool that we could jump into straight out of the master bedroom. The view and accommodations were so spectacular we spent most of the time using The Griya's facilities and lounging around our villa. My wife thoroughly enjoyed her 3 hour spa package at a very reasonable price. Two of the three nights we stayed there, the hotel offered entertainment and really great deals during happy hour. One night it was really nice live music while we sipped 2 for 1 cocktails at sunset. Another night the hotel brought in a Indonesian band and dancers so we could experience some Bali culture that we otherwise would not have known about. If you visit Amed, definitely check out The Griya! Quality accommodation with open view to the sea and sunrise , great totally private pool, classy food served well. Management and staff were excellent. Lovely roof top bar to sip cocktails watching the sunset and the highest volcano volcano Mt Agung. The location is very nice, short walking distance to the beaches (Lipah) for swimming and snorkelling swim straight from the beach to the coral. Taking the hotel's bicycles up beautiful country roads where the locals live and farm, including terraced rice fields. Beautiful location. Friendly staff. Everything you could ever want!!! Can’t wait to go back! Lock in a great price for The Griya Villas and Spa – rated 9.1 by recent guests! The Griya Villas and Spa This rating is a reflection of how the property compares to the industry standard when it comes to price, facilities and services available. It's based on a self-evaluation by the property. Use this rating to help choose your stay! One of our top picks in Amed.In lush tropical gardens, The Griya Villas and Spa is a 2-minute drive from Lipah Bay Beach in Amed. It features villas with a private swimming pool overlooking the sea, a fitness center and spa. Free Wi-Fi and parking are available. The spacious and air-conditioned villas feature modern Balinese architecture and furnishings. They have a large living area with a sofa, a flat-screen TV with a DVD player and a dining area. The full kitchen has cooking facilities, a microwave, a teakettle and a refrigerator. The villas open onto the pool deck. Guests can enjoy relaxing on the terrace or a soothing massage at the spa. The Griya Villas and Spa also has a 24-hour front desk and provides services such as laundry, tour arrangement and car rental for a fee. Safka Restaurant and Terrace, along with Maku Fine Dining Restaurant serves both Indonesian and International favorites. 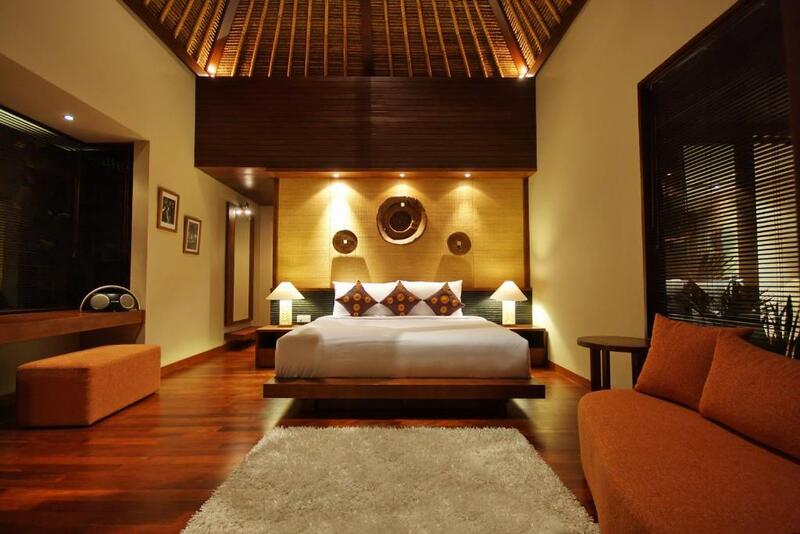 The villas are a 20-minute drive from Tulamben Beach and an 2-hour drive from Ngurah Rai International Airport. When would you like to stay at The Griya Villas and Spa? These spacious and air-conditioned villas have a large living area with sofa, a flat-screen TV with a DVD player and a dining area. The full kitchen features cooking facilities, a microwave, a teakettle and a refrigerator. The villas open onto a terrace. Each bedroom has a king bed. Spacious air-conditioned villas come with a large living area with sofa, flat-screen TV with DVD player and a dining area. The fully equipped kitchen offers cooking facilities, a microwave, kettle and refrigerator. The villas open out to a terrace and a private infinity pool with sea view. All our villas features private pool overlooking stunning ocean and mountain views. This a perfect place for couples or families to discover east Bali where various attractive activities you may join and enjoy. We ensure you will have enjoyable stay. Born in Sumatra and love outdoors and real adventures. House Rules The Griya Villas and Spa takes special requests – add in the next step! All children under 16 years are charged IDR 1016400 per night for extra beds. Any additional older children or adults are charged IDR 1016400 per night for extra beds. The Griya Villas and Spa accepts these cards and reserves the right to temporarily hold an amount prior to arrival. Please note, for stays more than 10 nights, different payment policy may apply. Nothing much around and beaches really not nice but this is more around location. Lots and lots of centipeids they were everywhere literally falling from the ceiling on to us in our sleep ! Water ran out quite frequently, which was kind of annoying while having a shower, but generally it got restored pretty quickly. 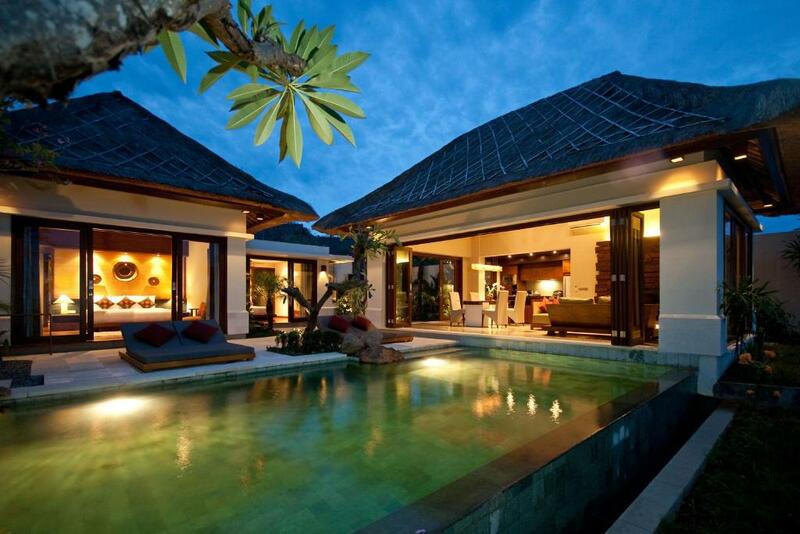 Amazing Villa. Perfect service & great food. The Spa was as well very good. Everything. Superb service. Value for money. EVERYTHING! pool and bathroom are amazing, sea view is superb. Nothing I didn’t like, except having to leave!